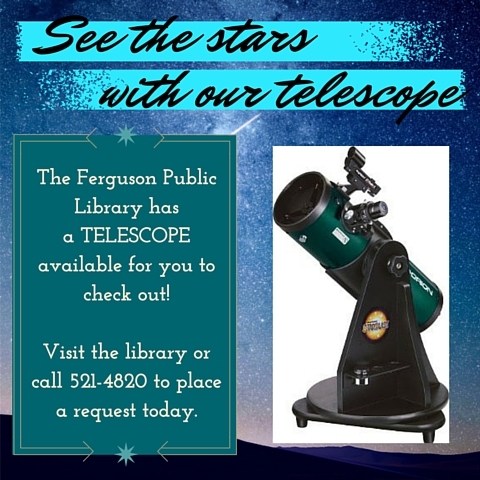 Thanks to the St. Louis Astronomical Society, we have a telescope available for you to check out! 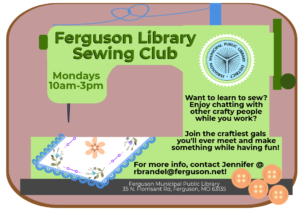 All you need is a valid Ferguson library card (no fines or fees over $5) and be at least 17. This easy-to-use telescope comes with instructions and a constellation guide to help you find many items in the night sky. To place a request online, put “telescope” into the search box, and then click “make a request”. You can also call the library and place a request over the phone! New doors – a great change to better serve you!